I've had a burst of creative energy lately on the knitting front. Lots of ideas coming to me faster than I can knit them up! Here's my newest pattern, available for purchase through Ravelry here. I call it Bisection as the idea was based on a series of bisected triangles. Here's what I mean: Imagine a triangular shawl. Draw a line straight down the center, dividing it in half. Now draw another line down the center of one of those halves. Then draw a line down one of its halves. And so on and so forth until your triangular shawl is split into progressively smaller and smaller triangular wedges. Short-rows are used to shape each triangular wedge. However, you do not need to wrap a stitch at each turn; the small holes this creates are part of the overall design. Alternating right side and wrong side for each section (thus alternating stockinette and reverse stockinette) helps to distinguish each wedge and also creates a reversible fabric. 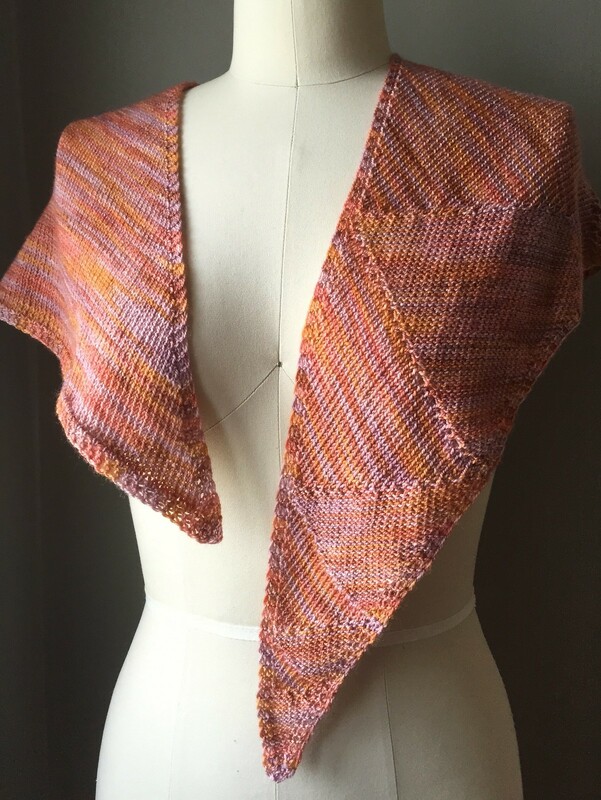 Because of the way the wedges interlock with one another, the shawl will always be triangular, no matter how many wedge sections you complete. Feel free to make as many or as few wedges as you like to obtain your desired shawl size. This also means the pattern can translate to any weight yarn you like. Just make sure you’re using the appropriate needle size to obtain a fabric with a nice drape. 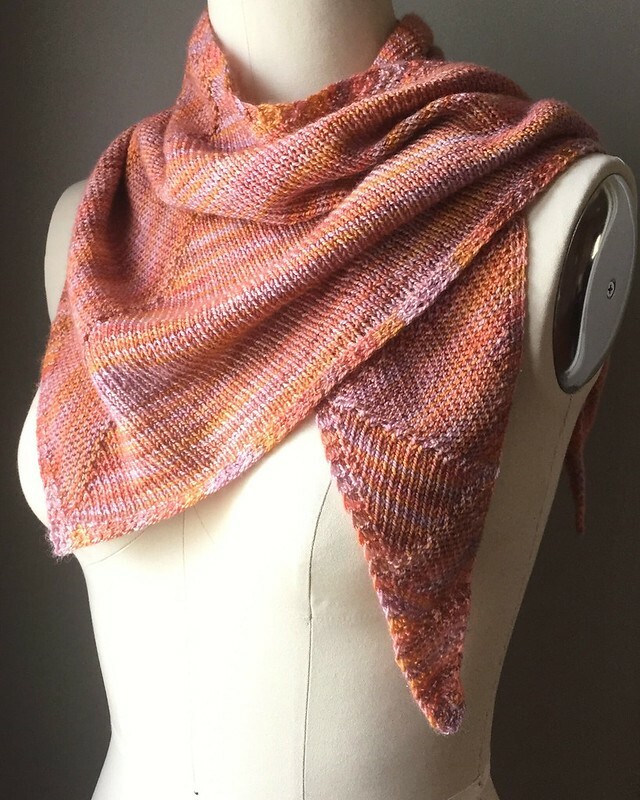 Although this pattern would look fantastic in a solid or gradient yarn, it plays particularly well with variegated yarns. 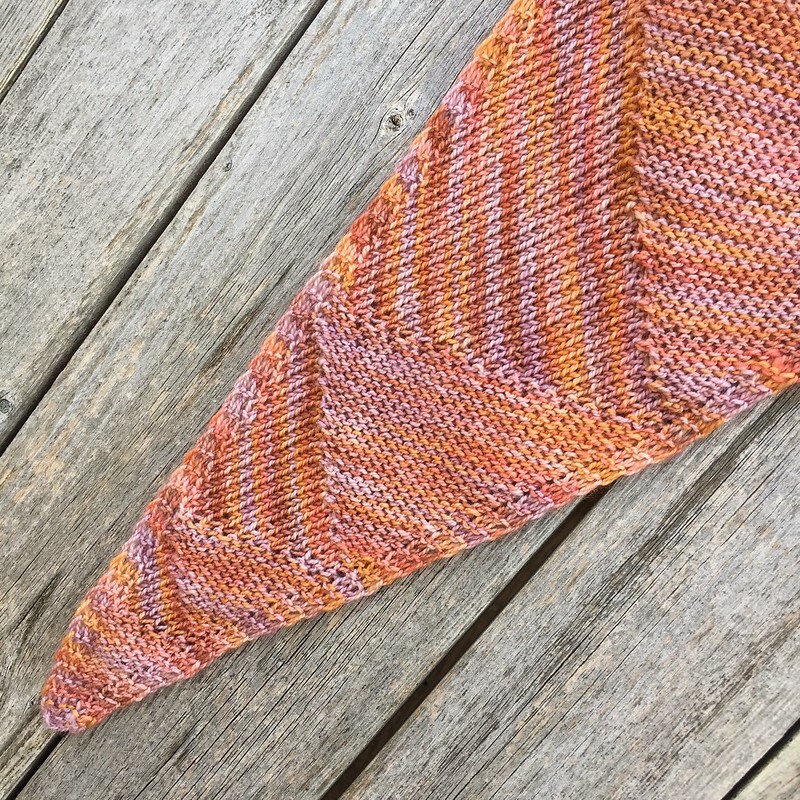 The little lines of different colors accentuate the opposing angles of each wedge, while a constantly changing stitch count minimizes any color pooling or striking. 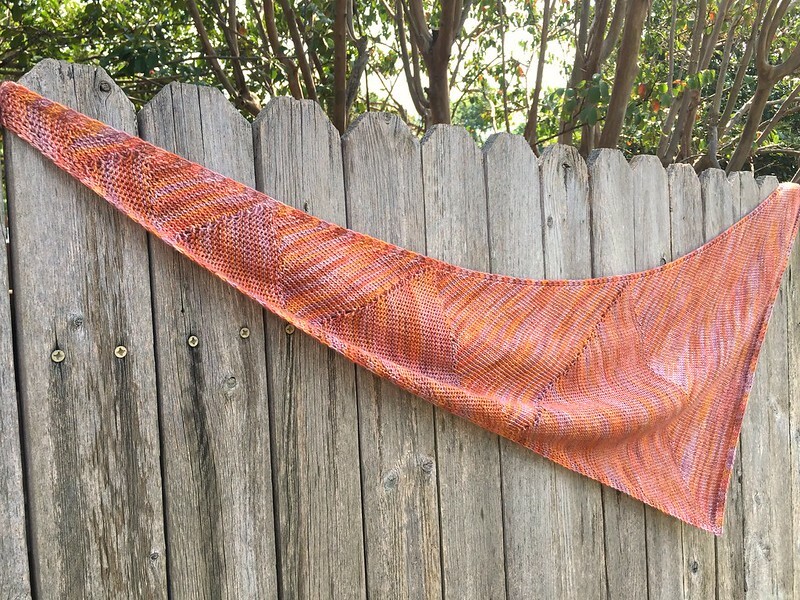 Each additional triangular wedge worked roughly doubles the size of the shawl. Lovely scarf! It makes me wish I could knit. It even looks good on Rosie. Oh Carissa - what a great mind that you have been blessed with - producing all of that talent ! Beautiful design, especially the edging trim and the color shading is awesome. Luckily, the coloring required no effort at all - it's all in the way the yarn was dyed! I <3 this so much!! !